A dietary supplement, providing nutritive support and improving state of the skin. Horsetail plant, celandine plant, wheat germ, vitamin mixture, brewer’s yeast autolysate, purified sulfur, beta-carotene. Horsetail reduces puffiness and improves skin elasticity. Celandine and its antibacterial, anti-inflammatory, fungicidal and strengthening effects have been known for centuries; it helps supporting skin in ideal condition. 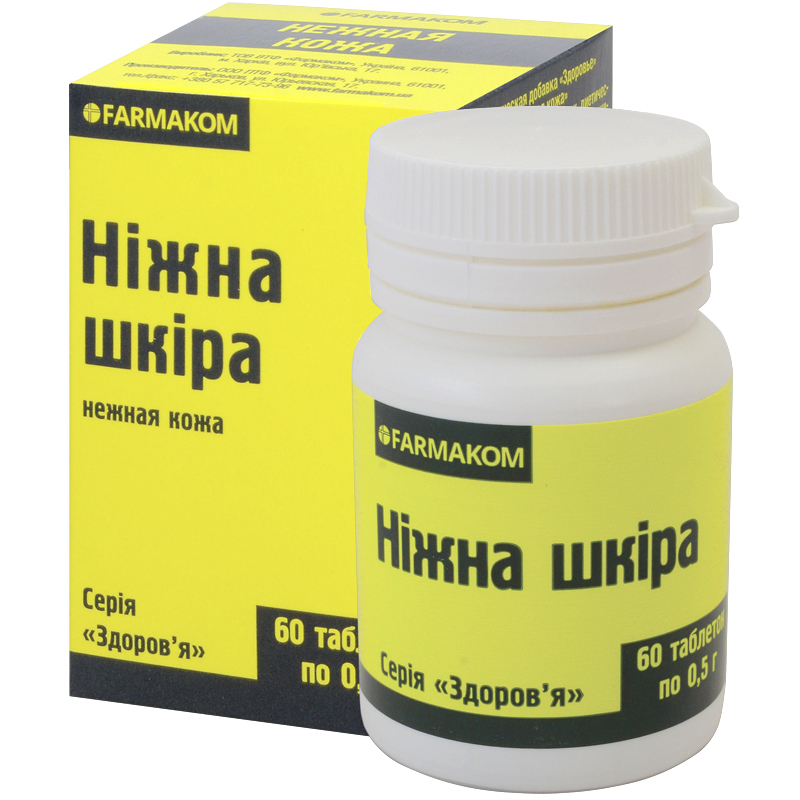 Wheat germ is an invaluable gift of nature, rich in all necessary substances with regenerating effect on the body, helping resisting unfavorable environmental factors, normalizing metabolism, improving protective functions of the body. Complex vitamin mixture, brewer’s yeast autolysate provide for balanced supply of vitamins to the body, have strengthening and immunostimulating effects. Sulfur – a beauty mineral – imparts the skin its brightness and youth; it is contained in tissues and numerous regulating substances (hormones, vitamins) and participates in aerobic respiration. Calcium promotes supporting skin health, provides anti-allergic effect. Beta-carotene (provitamin A) plays a significant part in formation of epithelial tissue, which is a part of the skin. Adults take 1-2 tablets a day with food with food, wash down with water. Term of use – 1 month. Individual sensitivity to certain components, pregnancy and lactation. Proteins – 7.37 g, carbohydrates – 15.9 g, fats 3.18 g.